The second part of the Zara Home spring summer 16 campaign is inspired by the vibrant colours of Miami. The Art Deco area of Miami Beach, with the highest concentration of hotel buildings from the 1920s and 1930s inspired the Zara Home team to create a new collection that is young, fresh, summery and definitely on-trend this season. The pulse of this area, its colours, architecture and atmosphere are recreated in this campaign in search of the distinctive 'Tropical Playground' style. A clear trend that is represented in this colourful collection, where neon tones over a white background are the undisputed protagonists. 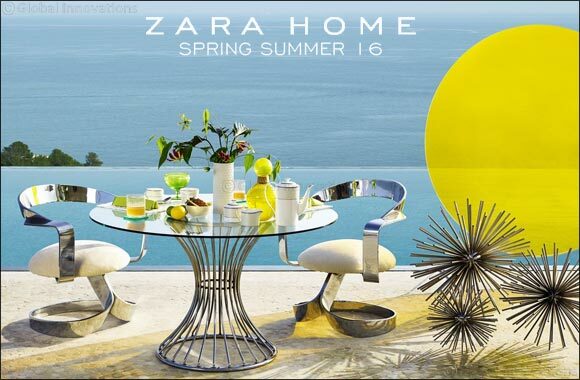 Zara Home is thus renewing its proposal for this season, taking the best of Miami, including the exotic and the urban. The collection also leaves room for the exotic, which can be seen in animal prints, with their shapes, prints and colours. Animal prints and vibrant neons reign over the collection with an overall look that is elegant, extravagant and on trend. The photos from the Edit 2/Miami campaign were taken by Fran�ois Halard.